We were delighted to welcome RNLI Education Volunteer Gerry and crew members Craig and Ruth from Whitstable Lifeboat Station on Tuesday. Gerry taught the children about flags, what they mean, where to swim and stay safe. Ruth and Craig organised games in the playground including relay races, dressing up in their waterproof uniform, how to throw a rope plus lots more. Well done to everyone who came in wearing yellow or orange and donated £1. 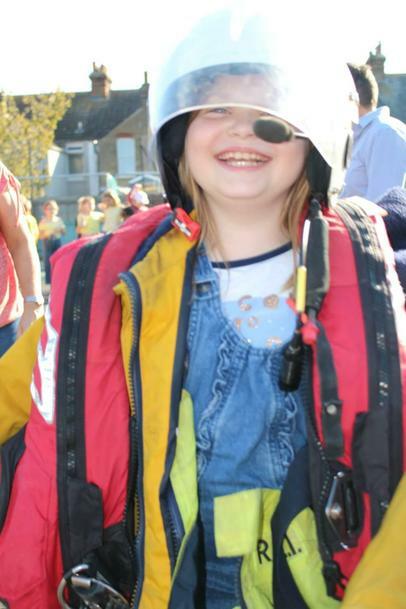 We are pleased to say we raised £162.82 which will go directly to the Whitstable Lifeboat Station.